Greetings from your WoodWeek news team. If you are in the office reading our news update – good on you for turning up this week – someone needs to keep the show on the road. Meanwhile the rest of us are pumping money into the economy of our favourite holiday spots. Anyway enough about short work weeks! FIEA’s popular conference series HarvestTECH is fast on the way to selling out. Make sure you reserve your seat! Visit www.harvesttech.events or call our office to get your team registered. A Marlborough Sounds man is offering a cash reward for proof of forestry in his area 80 years ago, in a last-ditch effort to verify claims in a scientific study. Dallas Hemphill got curious after reading a study about how sediment affects the seabed of Pelorus Sound/Te Hoiere, published two years ago by Niwa. Scientists said they found sediment from forestry runoff as early as 1901, but Hemphill says none of his neighbours - some in their 90s - know of any forestry operations pre-1940. Hemphill is offering a cash reward to the first person to provide "incontrovertible evidence" of industrial-scale pine logging, on land draining into the sound downstream of Havelock, before 1940. Meanwhile, looking nationally, a bleak picture of the state of New Zealand's environment has been painted by the government's official report, Environment Aotearoa 2019. The joint report from Ministry for the Environment and StatsNZ updates a previous version from 2015. It says the way New Zealanders live and make a living is having a serious impact on the environment, and the benefits New Zealanders get from being in nature, though not measured or quantified, could be lost. Nine priority areas are highlighted for attention. Finally this week, it is great to see that forest safety in New Zealand has made a real impact and a number of people’s efforts are set to be recognised in national awards across all industries. 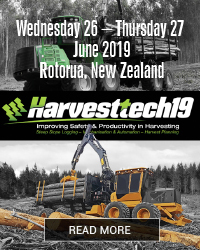 A number of people behind significant forestry industry initiatives are listed as finalists in the New Zealand Workplace Health and Safety Awards for 2019. The winners will be announced at a gala dinner in Auckland on 28 May. 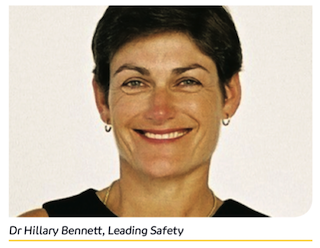 A lifetime achievement award will be presented to Dr Hillary Bennett for her pioneering work in health & safety leadership and in the forestry sector. ... and finally .. pied piper of cats! 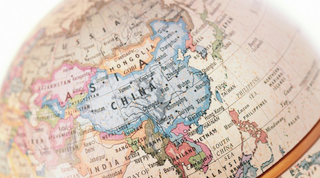 BC targets Asian alternatives in diversification plan – British Columbia government pivots trade-mission efforts to Japan, South Korea as China uncertainty increases. BC's latest trade mission to Asia appears to heed the advice of Asia-Pacific economic observers to diversify beyond the United States and China, its two largest trade partners. Government officials have admitted that China will be skipped in the province’s trade mission to Japan and South Korea in part because of Ottawa’s strained relationship with Beijing following the arrest in December of Huawei Technologies Co. Ltd. CFO Meng Wanzhou. But they added that the pull factor from Japan – especially following the ratification of the Comprehensive and Progressive Agreement for Trans-Pacific Partnership (CPTPP or TPP-11) – played just as big a role. “It recognizes that trade diversification is pretty important these days,” said Jobs, Trade and Technology Minister Bruce Ralston. Japan and South Korea are BC’s third- and fourth-largest trade partners, respectively. BC’s exports to Japan reached $4.5 billion in 2017 and accounted for 38.5% of Canada’s exports to the world’s third-largest economy. Officials announced last week that Ralston and BC Minister of State for Trade George Chow will visit the two countries March 16–22 but skip the traditional third stop on the East Asia itinerary in China. Many trade observers have said BC needs to diversify trade away from the US and China because President Donald Trump’s protectionist administration and China’s hardline stance on Canadian trade following Meng’s arrest have thrown BC’s heavy reliance on those two markets into question. Sean King, Park Strategies senior vice-president, echoed that view. The former US commerce official said many traditional US allies like Canada and Japan are increasingly looking to each other in the face of the Trump administration’s hostility to multilateral trade frameworks. Sediment science at odds with local knowledge over Sounds forestry debate - A Marlborough Sounds man is offering a cash reward for proof of forestry in his area 80 years ago, in a last-ditch effort to verify claims in a scientific study. Dallas Hemphill got curious after reading a study about how sediment affects the seabed of Pelorus Sound/Te Hoiere, published two years ago by Niwa. Scientists said they found sediment from forestry runoff as early as 1901, but Hemphill says none of his neighbours - some in their 90s - know of any forestry operations pre-1940. Hemphill said he would give $1000 to the first person who could provide "incontrovertible evidence" of industrial-scale pine logging, on land draining into the sound downstream of Havelock, before 1940. The report said sediment sources analysed using the compound specific stable isotope (CSSI) method showed "profound changes to sedimentation rates and shellfish composition since European settlement". 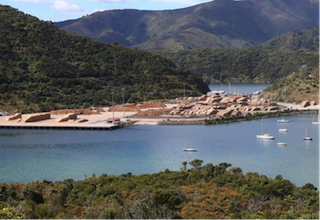 Sediment was accumulating on the seabed at a rate of up to 4.6 millimetres a year, post-European settlement, compared to a maximum of 1.2mm a year before that, in the Kenepuru Sound, the study said. The main contaminant was "pine-derived sediment". 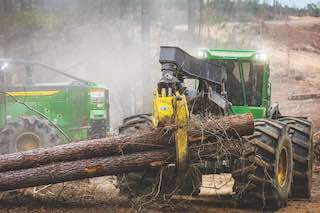 "They claim to be able to date the sediment in the Sound, and state what land use it comes from, they say they can distinguish forestry from farming," Hemphill said. "And they're saying there was massive amounts of sediment from pine forestry starting in 1901. But that's just so much at odds with what I've found in our forestry history ... I've talked to a lot of people and they have no idea about it." The Ministry for the Environment has today released a summary of submissions made during last year’s consultation on improvements to the ETS. The report is available here. “I would like to thank everyone who took the time to make submissions on the proposals,” James Shaw said. Submitters’ views have informed all of the proposals to improve the ETS. The first tranche of ETS decisions was announced in December last year. The most significant of these was the establishment of a framework to enable New Zealand’s emissions under the ETS to be capped in future. Further decisions to be announced over the next few months (tranche two) will be combined with tranche one to form a single bill amending the Climate Change Response Act. This bill is expected to be introduced to the House in 2019 and given effect in 2020. Recent announcement of the introduction of averaging accounting for new forests form part of tranche two. Alongside these legislative changes, the Government intends to consult on regulations in 2019 which will provide the volume and price settings for the ETS over the next five years. This report does not include a summary of submissions on proposals to improve the ETS for forestry. The Ministry for Primary Industries will release a separate report summarising submissions on these proposals later this year. Alongside the release of the summary of submissions, the Ministry for the Environment is proactively releasing Cabinet papers and related material on the consultation and December 2018 decisions. The report says the way New Zealanders live and make a living is having a serious impact on the environment, and the benefits New Zealanders get from being in nature, though not measured or quantified, could be lost. The report has outlined nine priority areas which are detailed below. At least 75 animal and plant species have become extinct since humans arrived in New Zealand, and the extinction risk for 86 species has worsened in the last 15 years. Species are at risk in marine, freshwater and land ecosystems. Cumulatively 4000 native species are currently threatened with or at risk of extinction - 90 percent of seabirds, 76 percent of freshwater fish, 84 percent of reptiles, and 46 percent of vascular plants. Introduced plant species now out number natives in New Zealand, and similarly, stoats, possums and rats were present on more than 94 percent of land in 2014. Added to that pressure is the threat of new diseases, such as myrtle rust, which arrived in 2017 and kills native plants like manuka, pohutukawa and rata. The conservation status has improved for 26 species in the past 10 years, but more than half require active management to stay that way. What New Zealanders have removed from the land, and what has been built on it has had a detrimental effect on the environment. Native forests used to cover about 80 percent of the country, but now only cover just over a quarter of New Zealand. Ten percent of the country was covered in wetlands, but 90 percent of these have now been drained. In 2012, just over half of the country's land had been modified, like urban areas and pasture is now the single biggest type of land cover, making up about 40 percent of the total land area. Between 1996 and 2012, more than 70,000 hectares of native vegetation were lost through conversion to pasture, plantation forestry and urban areas. Additionally, the Forestry Ultimate and Forestry Ultimate dual subscriptions will be eliminated and consolidated with JDLink Ultimate and JDLink Ultimate dual. Moving forward, the Wireless- Data-Transfer and Limited Internet features offered in the Forestry Ultimate subscription will be included with all Ultimate and Ultimate Dual subscriptions. This change will be applied to both existing Forestry machines as well as new machine orders. 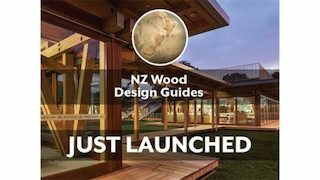 Timber Design Guides launched - Following a one-day conference that discussed why wood manufacturing matters, especially in our regions, NZ Woods’ Timber Design Guide Manager Andy van Houtte launched “Design for Fire Safety,” the first of NZ Wood’s design guides in booklet form. Lumber prices in North America continued their decline from the 3Q/18 with another quarter of substantial reductions. Average lumber prices for southern yellow pine were down 12% quarter- over-quarter in the 3Q/18, which was then followed by a reduction of 17% in the 4Q/18. With practically no change in log or chip prices, gross margins, and the EBIDTAs, have plunged in the Southern states, after having reach a 13-year high in the 2Q/18, as reported in the latest issue of the WRQ. However, the region’s sawmill margins were still well above their ten-year average margin. With lumber prices continuing to decline faster than log prices in early 2019, profit margins have continued to slide in the 1Q/19. Sawmills in British Columbia have also seen the prices for lumber in the US market come down substantially during the second half of 2018. Despite the weaker lumber market, sawlog prices still increased from the 3Q/18 to the 4Q/18 because of tighter supply and a rise in hauling costs. Sawmills saw their gross margins plunge to unprofitable levels and many companies decided to take market-related downtime in late 2018 and early 2019. In Europe and Russia, market prices for lumber were much less volatile than in North America, with only small price adjustments from the 4Q/17 to the 4Q/18. Log costs were unchanged in Finland during most of the year, while the costs for spruce sawlogs in Sweden jumped in late 2018. Gross margins for sawmills in both countries are still at healthy levels and, in the 4Q/18, were close to the highest they have been in four years. Sawmills in Siberia continue to expand exports to China with fairly stable lumber export prices the past three years. However, in the 4Q/18,lumber prices fell to their lowest level in almost two years. This occurred at the same time as sawlog costs remained unchanged from the previous quarter, resulting in reduced gross margins for many lumber producers at the end of 2018. Sawmill margins for 2018 were slightly below their five-year averages, but still higher than the average for the past 14 years. Komatsu Forest to build a new factory in Umea, Sweden - Komatsu Forest makes one of its biggest investments ever and it will take place in Umeå, Sweden. It will be a future-proof factory in large format, with a focus on sustainable production. Construction is estimated to start in May 2019 and the plan is that the finished factory will be inaugurated in 2021. The factory will be something of a unique landmark with its nearly 40,000 m2 divided into production area on two floors and an associated office building in six floors. Biomass power plant for Japan - Toyo Engineering Corporation has been awarded a contract for a project to construct a 51,500kW biomass power plant. This plant will be built in Ishikari- shi, Hokkaido, Japan for Ishikari Shinko New Energy Hatsuden Godo Kaisha. One day, a New Zealander on holiday in London walked into a curio shop. Looking around, he notices a life-sized bronze sculpture of a cat in a dark corner. The sculpture is so intriguing, he decides he must buy it and asks the shopkeeper the price. "Twelve pounds for the cat, sir," the shopkeeper tells him, "and £100 for the story that goes with it." "I'll take the cat," says the tourist, "but you can keep the story." The transaction completed, the tourist leaves the store with the bronze cat under his arm. As he crosses the street in front of the store, two live cats emerge from an alley and fall into step behind him. Nervously looking over his shoulder, he begins to walk faster, but every time he passes another alley, more cats come out and follow him. By the time he's walked two blocks, at least a hundred cats are at his heels, and people begin to point and shout. He walks even faster, and soon breaks into a trot as multitudes of cats swarm from alleys, basements, vacant lots, and abandoned cars. Thousands of cats are now at his heels, and as he sees the waterfront at the bottom of the hill, he panics and starts to run full tilt. No matter how fast he runs, the cats keep up, hissing insanely, now not just thousands, but millions, so that by the time he comes rushing up to the water's edge a trail of cats several blocks long is behind him. Making a mighty leap, he jumps onto a light post, grasping it with one arm while he hurls the bronze cat into the Thames River. Clinging to the light post, he watches in amazement as the seething tide of cats surges over the banks into the river, where they drown. Amazed and almost dumbstruck, he makes his way back to the curio shop. "Ah, so you've come back for the story," says the shopkeeper. "No," says the tourist, "I was wondering if you have a bronze Australian."